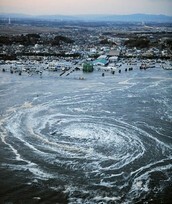 "The quake, which had a magnitude of 9.0, was the largest ever to hit the island nation. 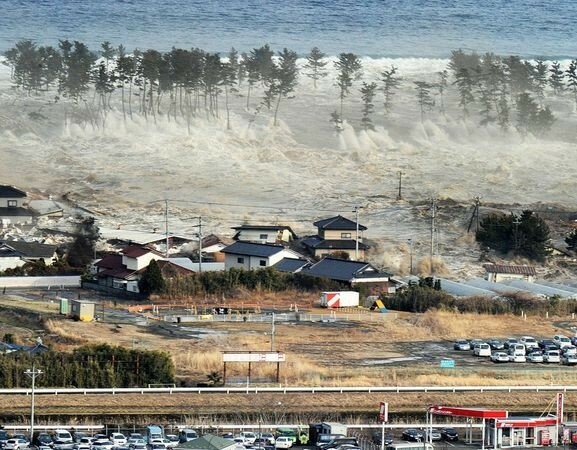 It also ranks as one of the top five earthquakes recorded anywhere in the world. Its epicenter was under the sea approximately 80 miles off Japan's coast." 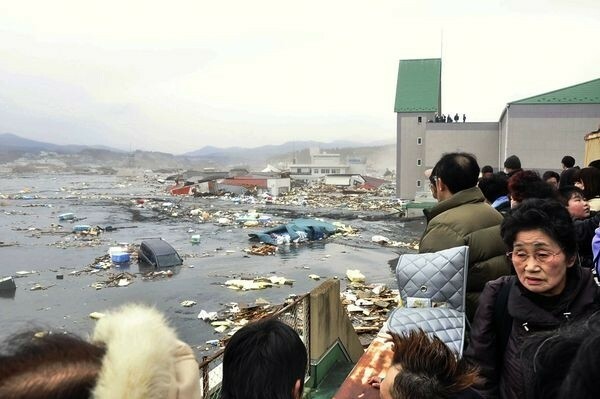 "It was a massive, killer quake. But it was only the beginning. 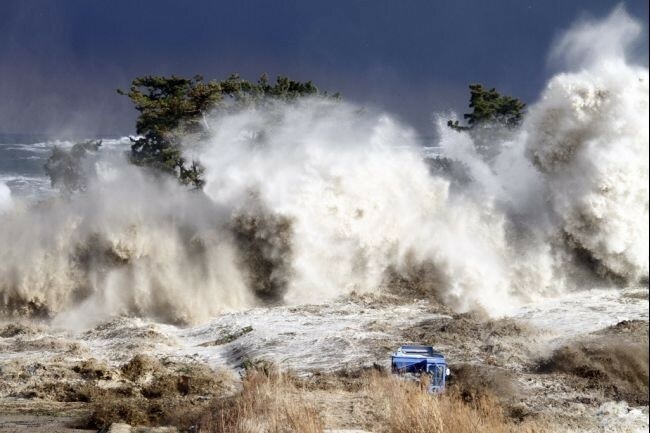 Already crippled towns were then hit by a raging tsunami -- a surge of sea-water 30 feet high that slammed into the coast like a sledgehammer. 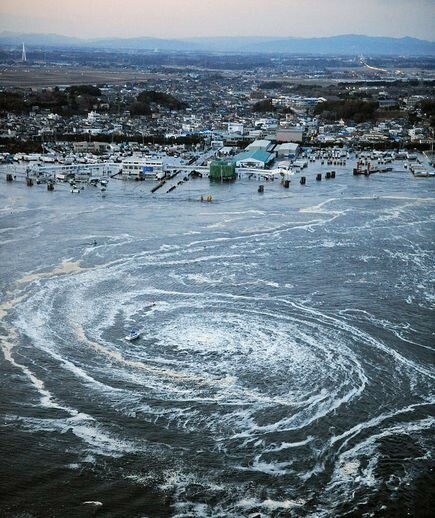 Tsunami means "harbor wave" in Japanese. " "People who had been able to reach high ground stood by helplessly as they watched their houses, cars, and other possessions being crushed into rubble and swept away." "Hundreds of thousands of people found themselves homeless, and millions of homes throughoutJapan had been left without power and water. More than 400,000 people were ferried to emergency relief shelters. Food, gasoline, heating oil, and clean water remain in short supply throughout the stricken region." "Disaster Times Three. (Cover Story)." Current Events 110.21 (2011): 4. Middle Search Plus. Web. 24 Sept. 2014.